Generation Z is all about individuality and customization, and according to studies 55% of Gen Z’ers rather have the ability to design products that nobody owns. King Children is the latest eyewear company – powered by 3D printing technology- that is giving full design power to consumers. Purchasing a pair of glasses from King Children is an immersive experience from start to finish- thanks to its app that scans your face using Apple’s latest augmented reality functionality for your fitting. Consumers then are able to customize the glasses in terms of style, color, and lense type before production begins leading to the glasses show up at their doorstep in less than two weeks. 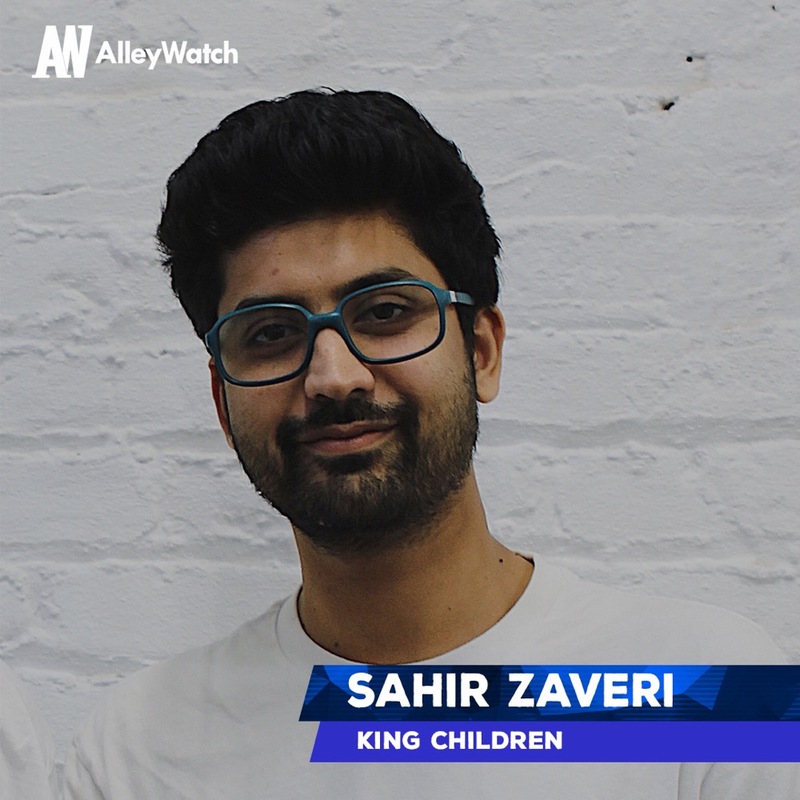 AlleyWatch sat down with cofounder Sahir Zaveri to learn more about how 3D printing of eyewear is now a reality, King Children’s launch, and future plans to transform the optical industry. Tell us about the product or service that King Children offers. King Children makes eyewear for every face, designed by shoppers, crafted by the latest 3D printing technology. The experience starts with a mind-blowing app that scans each unique face using augmented reality. From there, glasses are 3D printed, enabling quality control and most importantly, ensures there is never any excess waste. Frames have an ever-expanding range of styles, colors, and lenses, including Rx and Sun, and are ultra-durable and scratch-resistant. King Children celebrates our differences and welcomes every face to embrace who they are. How is King Children different? Our secret sauce really lies how we use Apple’s True Depth hardware and our patent-pending manufacturing process. Available for download on iPhone X, iPhone XS, iPhone XS Max and iPhone XR, the King Children app uses Apple’s latest technologies, including Depth Control, to do 3D face scans with accuracy down to the millimeter. We recognize that we all have different facial features, and don’t think that people need to settle for an uncomfortable fit just to get the look they want. Instead, we celebrate all of our amazing different features by offering comfort and style in one exciting design experience. Another core aspect is our King Children Residency program, providing a platform for creatives (artists, musicians, dancers, painters and more) by supporting their projects and fostering connection amongst a vast creative community. At launch, the King Children network includes Ezinma, Baby Yors and Dan Huston, amongst many others who share the company’s values of inclusivity and self-expression. This ongoing initiative will be open to people of all backgrounds and artistries — meant to inspire King Children’s young customer base and celebrate their evolving styles, starting with eyewear. Is there anything to prevent another more, well-established player in the space from offering something similar to your service as a feature in their existing product line? Traditional brands design based off a standard template, ultimately limiting them in what they can produce. We’re using Apple’s True Depth hardware in a creative way – by putting the customer in the designer’s seat, we’re eliminate having to rely on a ‘supply and demand’ approach. We’re also less wasteful and have an ultra-efficient supply chain. We’re delivering every piece of customization and quality shoppers have been craving for a truly collaborative design process. What market does King Children target and how big is it? Our brand is all about inclusivity, so the short answer is that anyone and everyone should feel comfortable, both physically and aesthetically, wearing our glasses. Today’s consumers prioritize wide product selection, availability, and co-creation with brands, and King Children is a response to these needs. In fact, 55% of Gen Zers expressed that they would like the ability to design products that no one else owns. This generation is digitally native and wields an impressive $44B in buying power and prefer an experience in the palm of their hands. Additionally, a recent survey found that consumers now expect brands to have AR features paired with AI to personalize their shopping experience. In creating an individualized experience, every need is reflected in a final product that is as much rooted in self-expression as it is in value. We offer effortlessly fitting eyewear, designed by the customer in an app that 3D scans your face and is delivered in as little as two weeks. Our in-app experience harnesses technology beyond today’s norm in commerce, ensuring accuracy during 3D scanning and giving shoppers the capability to purchase and receive their designs right then and there. What inspired the start of King Children? We created the brand after realizing there was an opportunity to combine the latest in 3D printing and augmented reality innovation to bring customized products and a superior user experience that speaks to all genders, ethnicities, and backgrounds. We have a deep knowledge in 3D printing, design, and manufacturing, which put us in a unique position to bring an entirely new way to experience customized products — starting with eyewear. It all came together through a thoughtful approach to fulfill consumer needs, celebrating everyone’s unique features instead of using today’s one-size-fits-all approach. We’re laser-focused on ensuring a seamless launch with a great shopping experience that everyone can enjoy. Self-expression shouldn’t be stressful or preventative, so our goal for these next six months is to hit the ground running with a perfected experience. As more technology is released, we’ll continue to build it into our business model and offerings. We’ll also continue to build our King Children Residency (our artist residency) and influencer collaborations, with a plan to release a steady stream of new collaborations. The sector, strategy, and vision of your start-up should massively impact which advice you act on. Start by finding a small group of successful venture capitalists, entrepreneurs and business leaders who understand your vision and then frequently request honest, unbiased input when making important decisions. Until someone understands your vision it’s unlikely they will be able to provide meaningful feedback even if they are brilliant at what they do or in what they have achieved. Emily Weiss. I think Glossier has achieved what so few if any great consumer startups are able to – huge scale while cultivating a community of diehard fans that rep Glossier even harder than the brand itself. King Children is born out of the creative community in Brooklyn, a place where individuality is celebrated and inspiration can be found around every corner. The area is a reflection of what our brand stands for – diversity, inclusivity, self-expression, and creativity. We thrive off of New York’s energy and love being in a place where there’s an opportunity to experiment outside of the status quo and look forward to bringing that experience to everyone. Williamsburg waterfront, domino park is great in the fall!